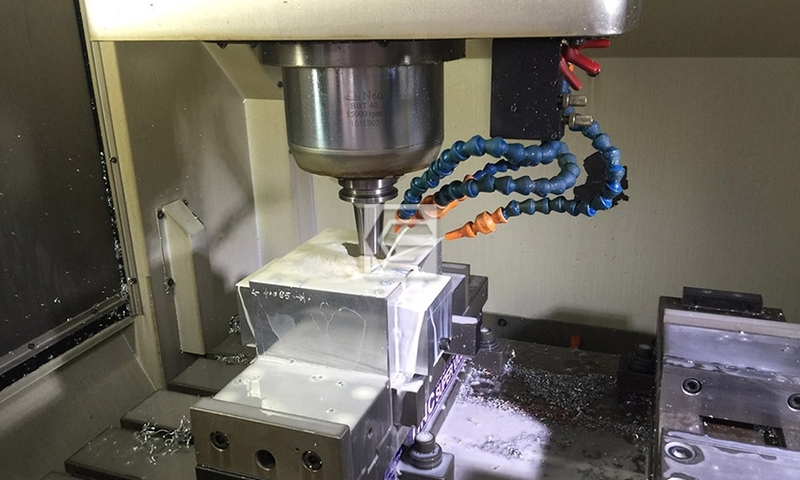 Tooling Making - C&S Metal Products Co., Ltd. 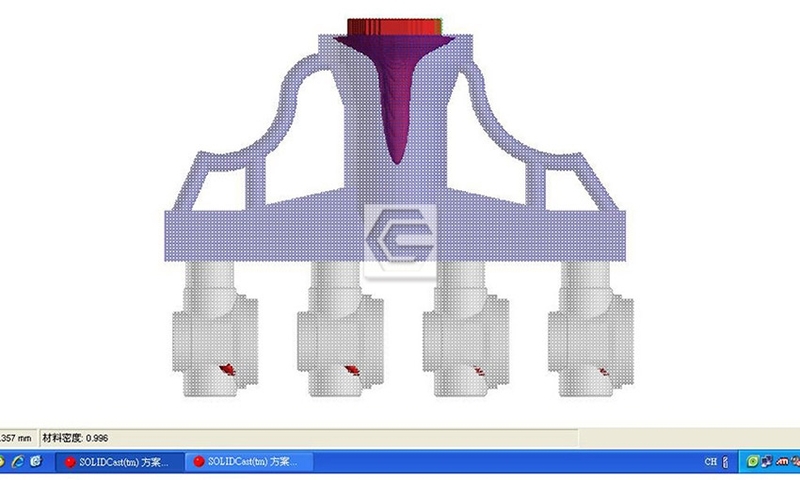 In accordance with the position of the gate and assembly program by client's 2D and 3D design and use mold flow simulation SOLIDCAST software to simulate the speed of melting pouring and the gate in equal proportions into the case analysis of whether defects or shrinkages occur. The program can be determined if there is no occurrence of defects or shrinkages. The result chart of mold flow analysis. Red spot means shrinkage inside. 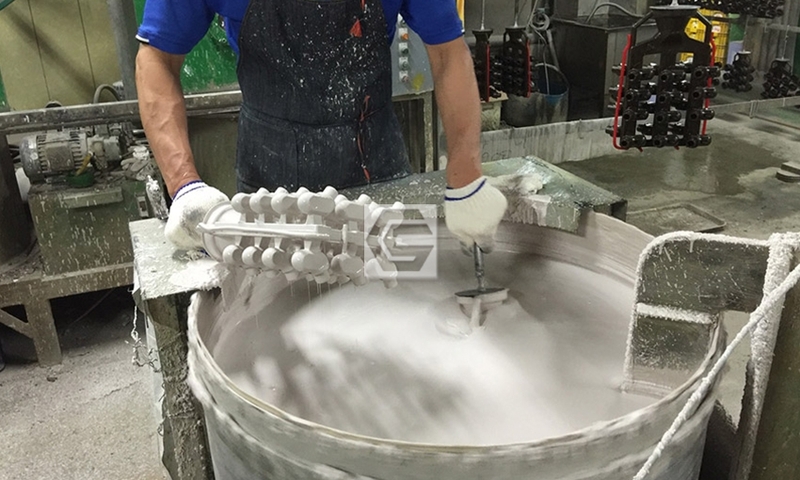 During melting pouring process, under the wax and liquid iron will pass under the iron and other processes at the state of contraction different body type has not seen the same situation. 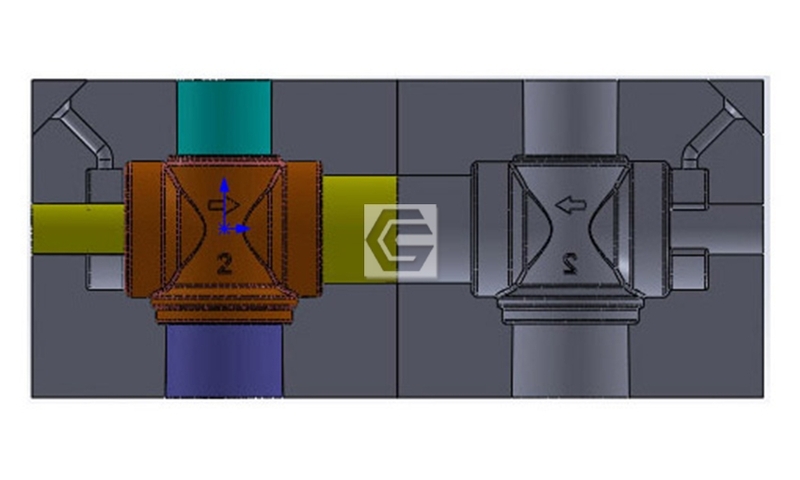 Depending on different types of casting, appropriate design of draw of pattern for operations that can speed up work efficiency and maintain the quality. The illustration of drawing of pattern. 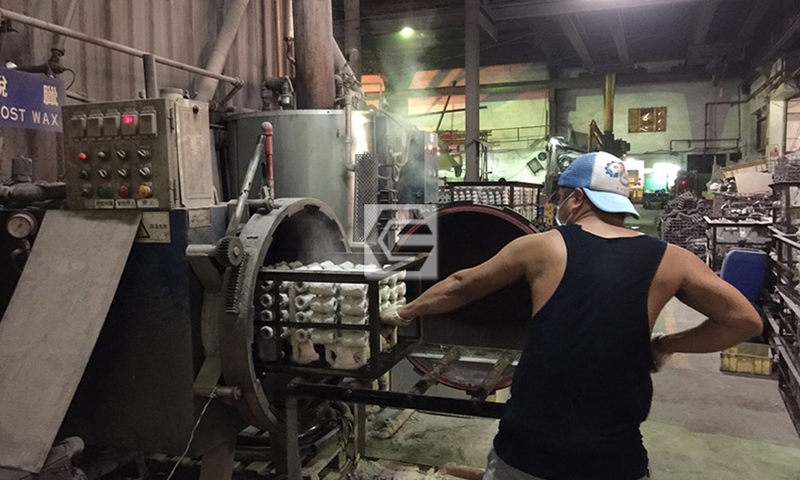 Making soluble wax mold is a likely situation if the internal shape is complex and it is difficult situation to draw of pattern while lost wax casting. 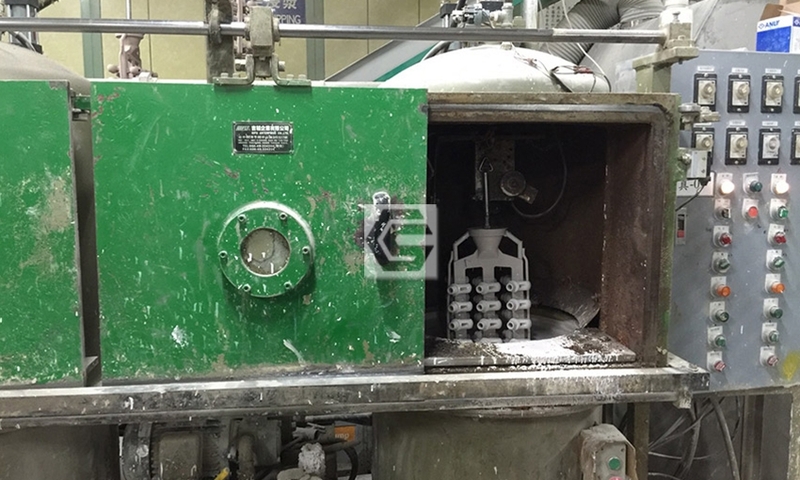 The advantage for soluble wax mold is internal dimensionally stable and good roughness. Soluble wax and main body wax. The look of soluble wax after melting. 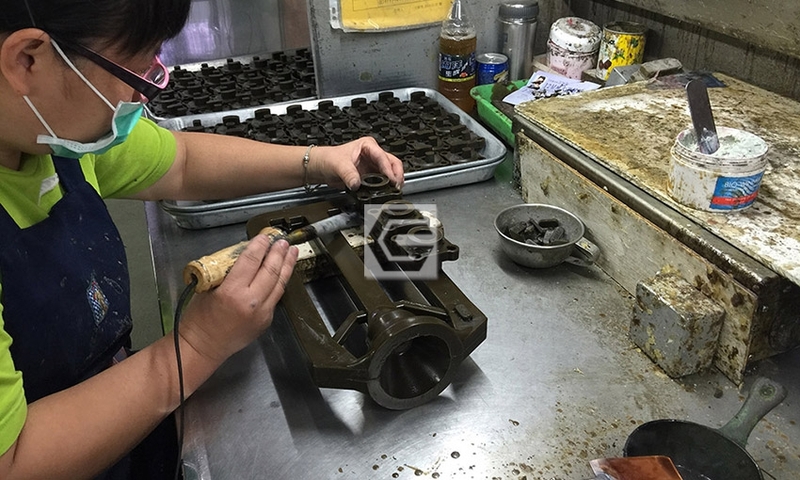 The data is going to be sent to CNC processing plant to machine mold after finishing taking apart the mold design. 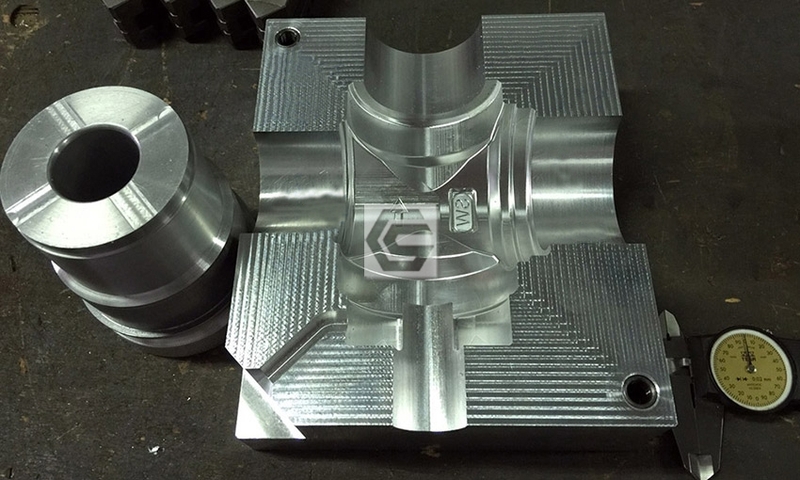 Tooling is made by CNC progress. 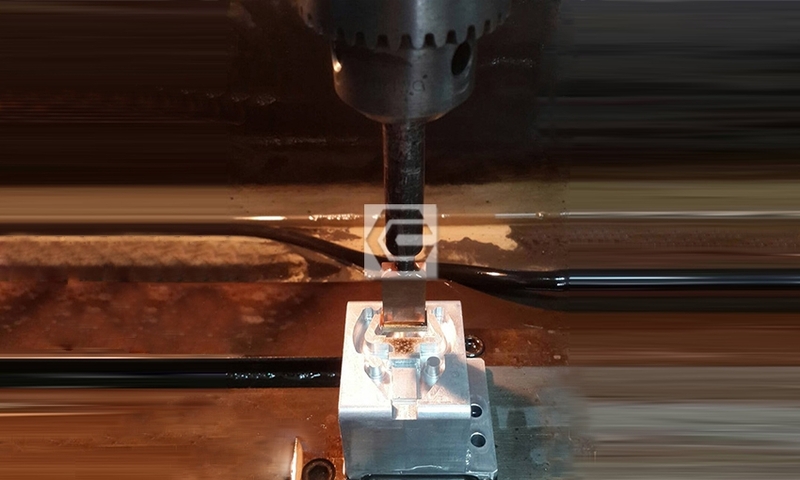 When CNC machining cutting tool face radius is too small or deep hole to machine. 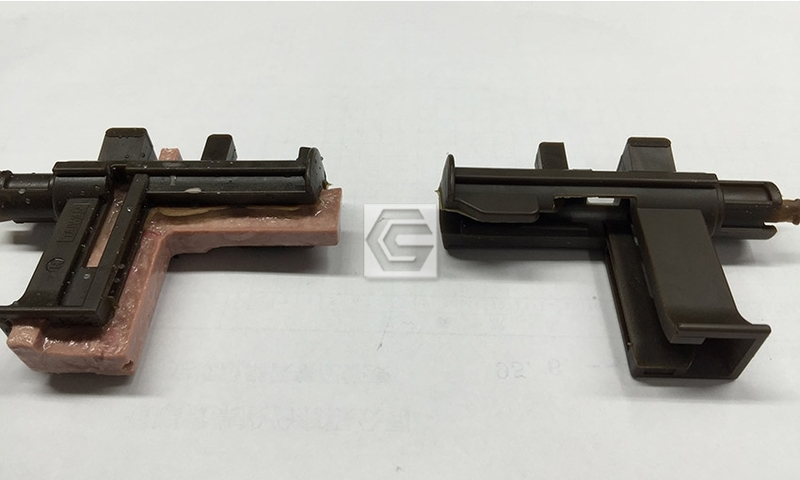 The choice is to use electrical discharge machining method. 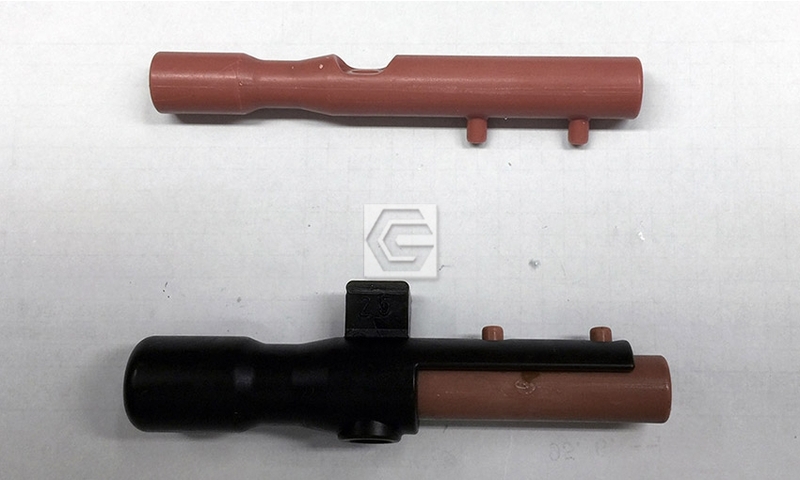 The use of copper electrode discharge. 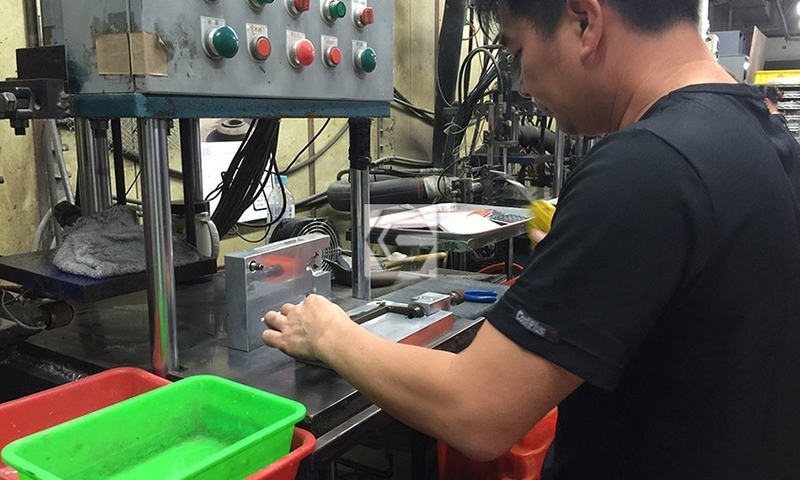 When the mold returns from CNC processing plant, it needs to be done location and permeability assembly work. Cleaning wax mold and testing to check for burrs and dimensional inspection. Check the dimension of wax. Wax is injected into the mold. 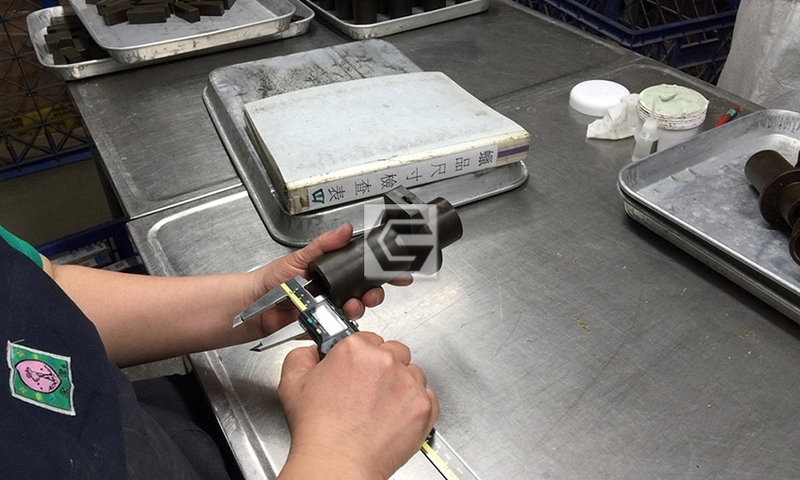 The time, pressure and temperature are controlled under SOP process in order to ensure the stability of the standard size. 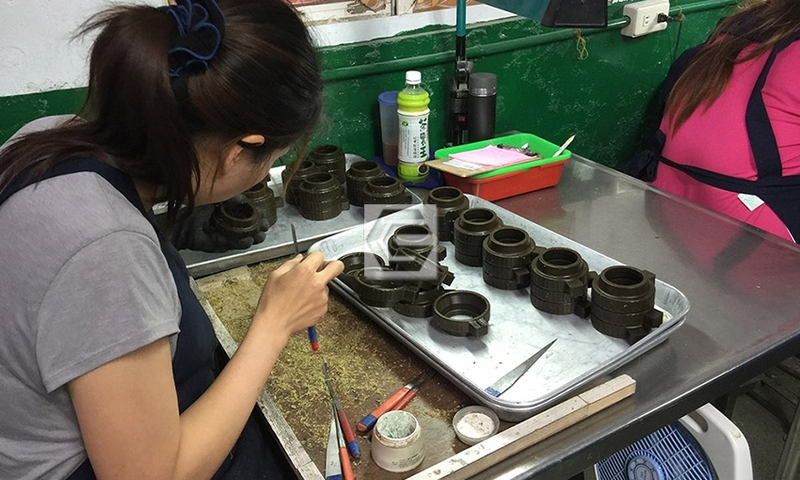 When the mold using longer will produce too much burrs and shell mold line, it need to rely on repair personnel to remove and repair and fix wax pieces flatness. According to the proposal for assembling, wax and die head will be fabricated and send onto the conveyor belt to the next process. The use of citric acid cleaning wax tree oil and release agent for about 30 seconds. To ensure the wax tree is clean before dipping. 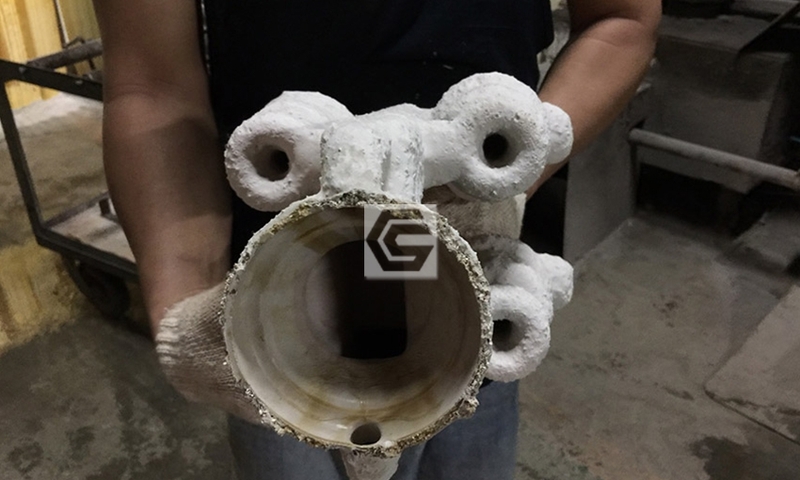 The use of binder and refractoriness to make slurry liquid and mix with zircon sand and mulgrain sand are sequentially attached to a wax tree after repeating many times. It isn’t allowed any residual air bubbles until a predetermined thickness. 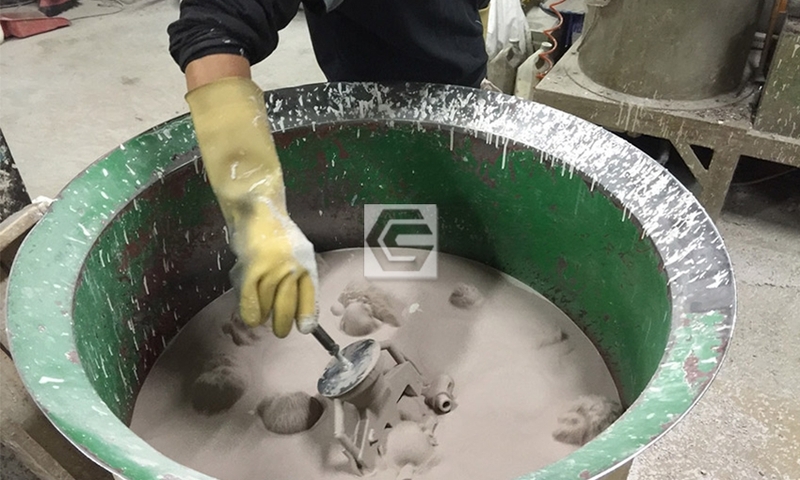 The number of times r and thickness of the ceramic shell are determined by casting weight. 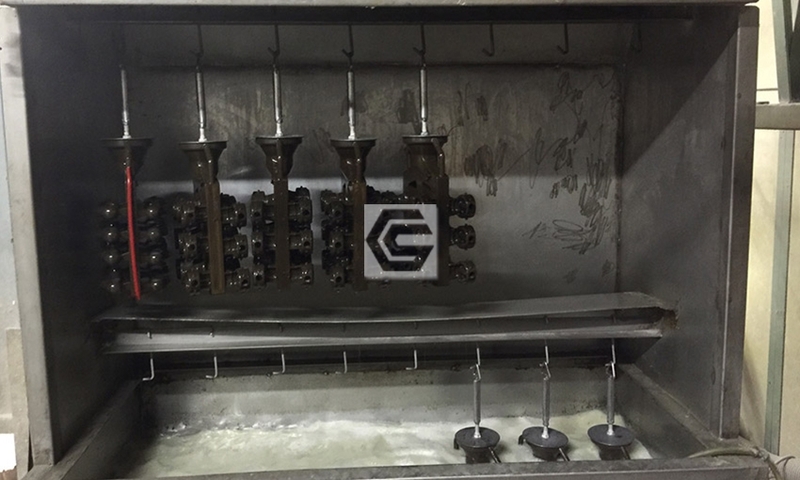 When small fonts and generally easy to ignore the gap on the casting, it can use vacuum dipping machine to solve the bubble problem. Each layer requires some time to make dry in order to reach the strength. 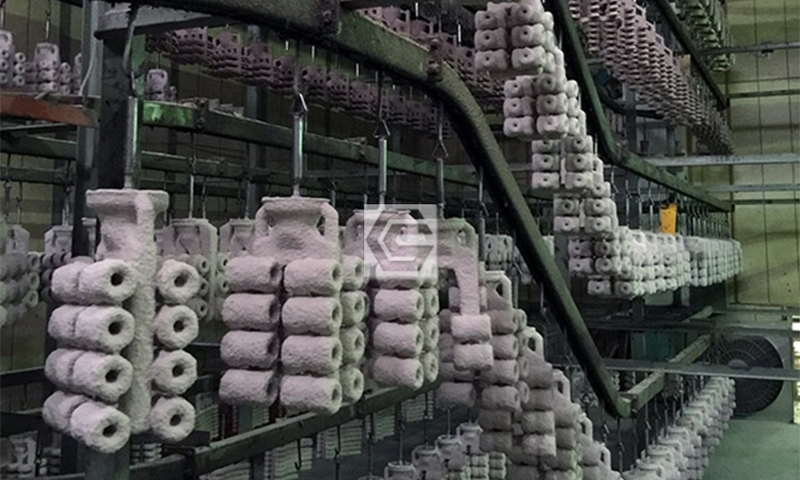 The drying room needs to maintain a stable temperature and humidity. Put assembly wax tree into the high pressure container and locking through the steam-heated to make rapidly melt of wax outflow. The operation needs to be fast in order to prevent break and deformation. The shell mold after de-waxing.